HOW DO I WASH MY SWIMSUITS? Swimsuit fabrics are usually made out of delicate fabrics such as nylon, lycra, spandex and other type of poly blends, hence they require specific care in order to endure their longevity. If you want to preserve your fave bikini, read my do's and don'ts below. Of course, I encourage you to always read the manufacturer's instructions labeled inside the swimsuit, as the suit may require special care in cases that there is sequins or fringe etc. Btw, here's a blink into my own swimsuit closet...quite colorful huh? It is important to rinse your swimsuit immediately after use to eliminate saltwater, chlorine, body oils, sunscreen and dirt. This prevents these substances from damaging the material. If there is an outdoor shower facility near the beach or pool, rinse yourself. Hand wash your swimsuit, let it soak in cool water for 15 mins, than gently massage with mild hand soap or delicate detergent. Lay your swimsuit flat to dry, out of direct sunlight. Do not use washing machines, they can be destructive to your swimsuit. Example: damaging elastic straps, padding in cups etc. Do not ring or twist the swimsuit when hand washing. Put sunscreen on your body before putting on a swimsuit to avoid staining. If staining occurs, sprinkle baking soda on the area and allow it to sit for 1-2 hours before rinsing. Dry your swimsuit laying flat only, do not hang to dry, this will stretch out fabric. Do not dry in direct sunlight. Place out of direction of the sun to prevent fading. Don't store your wet swimsuit in a plastic bag, this will create mildew. Do not put wet swimsuits on tops of others, the colors may bleed onto each other. Avoid rough surfaces. To conserve your favorite bikini, you must avoid picks and frays, avoid sitting on rough surfaces, always sit on a towel. I agree with the sitting on a towel, I've ruined some swimsuits by sitting on something rough! These are such great tips! Thank you for sharing! I have started to get better about rinsing my swimsuit out after wearing it and it really helps prevent fading! Hi dear, thank you so much, very interesting post and very usefull tips! Thanks for the tips, it's really useful! I loved the tips, it is very important to take care of the correct way. Have a great day. Fantastic tips! I used to try to wash my swimsuits in the machine until I realized how bad it was for them. 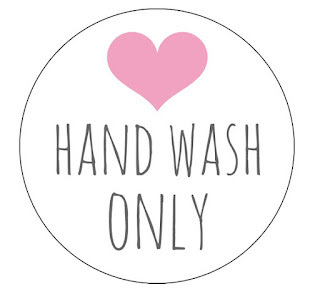 Yes, in my book hand wash is the only way !